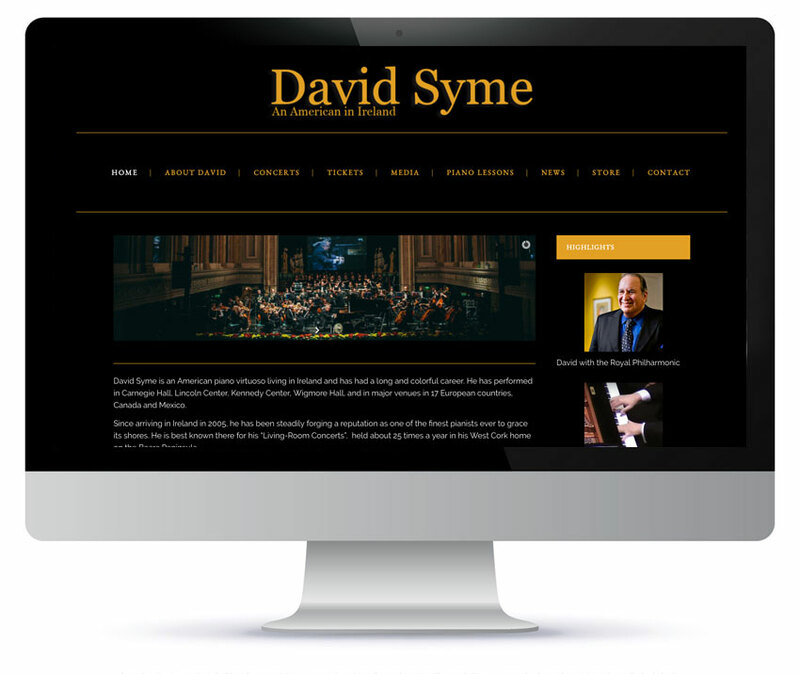 David Syme is an American piano virtuoso living in Ireland and has had a long and colorful career. He has performed in Carnegie Hall, Lincoln Center, Kennedy Center, Wigmore Hall, and in major venues in 17 European countries, Canada and Mexico. Since arriving in Ireland in 2005, he has opened his home in West Cork for his Living-Room Concerts, held about 25 times a year. David wanted a website that would showcase his talent with videos of past performances, information on upcoming concerts and the option to purchase tickets to his Living-Room Concerts. We love to meet our clients face to face when possible, either in our office or at a location that suits you. We’re available Monday to Friday from 9:30am – 5:30pm or outside these hours by appointment.